On May 1. 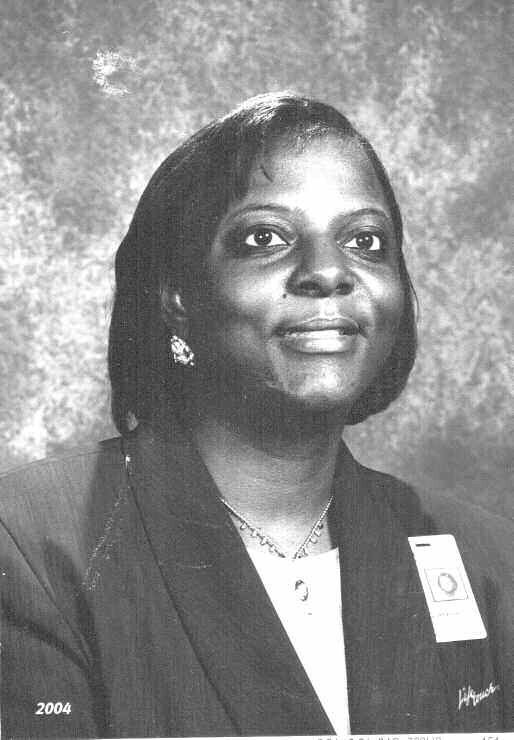 2009, the Georgia Association of Elementary School Principals (GAESP) selected Dr. Cynthia Hammond as the Outstanding Assistant Pril1cipal for Georgia for the year 2009. She has served as Assistant Principal at several schools in Houston County, Georgia. She is a 1980 graduate of Bradwell Institute in Hinesville, Ga.
She holds a doctorate degree from Argosy University an Education Specialist from Georgia Southwestern College and a master’s and bachelor’s from Fort Valley State College. Earlier in her career she received several recognitions. In 1991 she was named Fort Valley Ga Police Officer of the year; 1999 Byron Middle Teacher of the Year and Houston County TOTY, and Tabor Middle School TOTY in 2003. Cynthia is married to Allen Hammond and they have three children. Brandon is in the U.S. Air Force stationed in Kuwait; Kayla is a 2009 graduate of Houston County High; and Brittney is a fifthgrader at Matt Arthur Elementary. They also raised and educated her niece, Lakeysha Wilson, who is a kindergarten teacher in Atlanta. On May 12, the Houston County Board of Education met and appointed Dr. Hammond as principal of Westside Elementary school, in Warner Robins, Ga beginning in 2009-2010 school year.